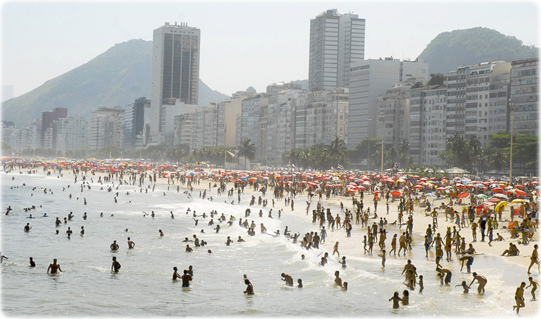 Most tourists who visit Rio de Janeiro are attracted by the beaches and great festivals of its famous capital - after all, who has never heard of Copacabana, Ipanema, Barra da Tijuca and many other beaches? And of the Rio Carnival? 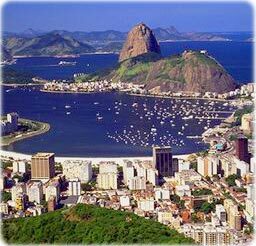 But there is much more to be seen and enjoyed in the state of Rio. The coastal landscape is one of the most beautiful and rugged in Brazil, with a total of 365 islands scattered along the coast in the region of Angra dos Reis alone. National parks like the one on the Ógãos Mountain Range are excellent for sports like climbing, hiking and rappelling. The setting of many important events of the past, some of the states history is shown in photos and documents gathered in museums, such as the Imperial Museum in Petrópolis. The houses and churches of Paraty also boast a colonial style and make visitors imagine what the Brazil of the past would look like. Copyright © Geographic Guide - Brazil Tourism. More: Roraima and Pernambuco.